Do you want to brave the off-road elements in style? Is your family or luggage too large to squeeze into a tiny luxury convertible? Pre-owned Mercedes-Benz SUVs are powerfully tough, luxuriously comfortable, and affordable. One of these top models of pre-owned Mercedes-Benz for sale in San Antonio, TX, is certain to fit your dreams. G-Class models are built to be Mercedes-Benz’s best all-terrain SUV. The AMG® G 65’s tough yet elegant design makes off-road adventures look easy. 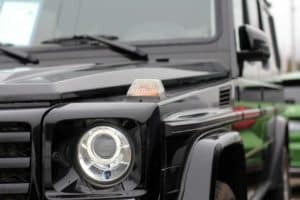 It features 3 lockable differentials to balance traction and torque for a variety of off-road challenges. The V12 AMG® engine makes it one of the most powerful SUVs available at 621 horsepower. This model is known for its safety and convenience. 4MATIC® all-wheel drive automatically detects slick conditions and redirects power to whichever wheels need it most for extra stability. Radar helps detect hazards and starts braking if the car in front of you stops suddenly. This model provides hands-free access to the trunk. Just a ‘kick’ under the bumper opens up the spacious trunk and cargo space. This slimmer SUV is designed for maximum comfort. Interior luxuries may include heated seats, rear-door sunshades, panorama roof, and even ionizer-purified, fragrance-infused air. High-tech assistance helps you perform tasks like cruising, changing lanes, and parking with ease. This model is lightweight, nimble, and fuel-efficient without sacrificing off-road performance. AMG® engines were originally built for racecars. Now, they are available for fast and powerful cars on everyday roads. This smaller, sleeker SUV feels more like a racecar than a bulkier model. Its 9 speeds and 9G-TRONIC transmission provide flexibility and power to quickly change speed. It accelerates from 0 to 60mph in 4.8 seconds. This car slows down just as well as it speeds up. Its brakes are large and cast with their perforations in place (rather than drilled in later) for increased precision and power. The ultimate family SUV, this 7-passenger vehicle features excellent entertainment. 2 screens and 2 DVD players allow 2nd-row passengers to enjoy entertainment together or separately. It features systems to help the heavy vehicle round corners safely and easily. 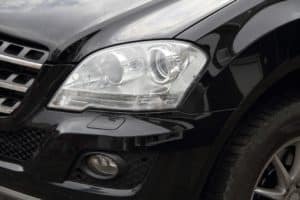 Its LED headlights, tail lights, and daytime running lights are brighter, longer-lasting, and more efficient than average car lights. With its 50MPGe and low emissions, this model helps the environmentally conscious protect the planet and their gas money. You can plug it in for electricity or use conventional gas. The versatility doesn’t stop there: this hybrid features agile handling and an easily adaptable cabin and cargo space. Active Brake Assist and Steering Pilot help you drive more safely. If saving the environment is important to you, ask your local Mercedes-Benz dealership about this and other hybrid models. This coupe includes Mercedes-Benz’s most advanced safety features including distance pilot, steering pilot, active brake assist, and 11-way airbag protection. Its attention assist lets you know when you are in danger of driving drowsy. The interior of this Mercedes-Benz for sale includes beautiful features like a panorama roof, premier interior lighting, and multicolor ambient lighting. This model is only available used, but it still packs a powerful punch with its twin-turbo 200-horsepower four-cylinder engine, all-wheel drive, and 7-speed automatic transmission. It gets about 32 mpg on the highway, giving it a great fuel economy. J.D. Power and Associates gives the GLK 250 a very high reliability score of 4.5 out of 5. This dependable car will last a long time. This SUV provides high-class luxury for all of its 7 passengers. Each of its three rows is designed for comfort with features like heated front row seat and reclining second row seats. The 4-wheel AIRMATIC® suspension automatically adjusts to various road conditions and cargo loads for greater control. Its 8-inch touchpad screen allows the driver to easily navigate programs like GPS and vehicle settings. Many drivers buy this Mercedes-Benz car for an exceptionally smooth, comfortable ride. Its plethora of powertrain options increases its safety and smoothness. Even the back-row seats recline and have plenty of legroom. This model typically receives very high safety ratings.